In THE MONK IN THE GARDEN, award-winning author Robin Marantz Henig vividly evokes a little-known chapter in science, taking us back to the birth of genetics, a field that continues to challenge the way we think about life itself. Shrouded in mystery, Gregor Mendel's quiet life and discoveries make for fascinating reading. Among his pea plants Henig finds a tale filled with intrigue, jealousy, and a healthy dose of bad timing. She "has done a remarkable job of fleshing out the myth with what few facts there are" (Washington Post Book World) and has delivered Mendel's story with grace and glittering prose. THE MONK IN THE GARDEN is both a "classic tale of redemption" (New York Times Book Review) and a science book of the highest literary order. Robin Marantz Henig is the author of seven books. 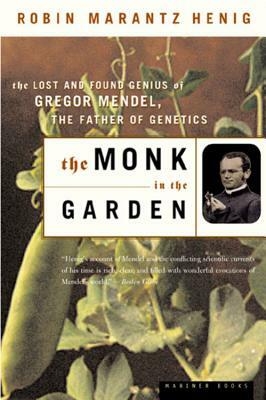 The Monk in the Garden: The Lost and Found Genius of Gregor Mendel was a finalist for the National Book Critics Circle Award.